I ordered this Malawi Livingstone Twist & Dry Oolong after I had my first conversation with Alistair, the owner of What-Cha. We had a lengthy chat on Reddit and he highly recommended this interesting oolong. I had to order it, especially after learning that it was from Malawi. Malawi is a rather unusual place to grow oolong tea. 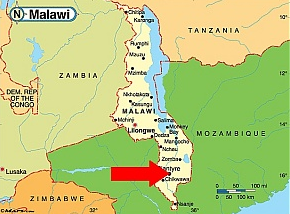 Even though I’m quite a geography nerd, I had a bit of a hard time picturing where Malawi is. 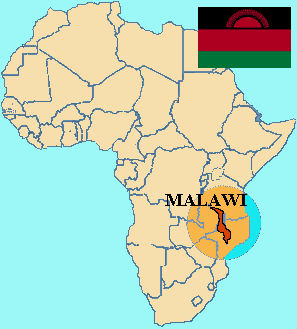 Malawi is in East Africa, not too far from Kenya, which is the third largest producer of tea in the world. Perhaps there is some sort of connection between the Kenyan tea industry and the burgeoning tea industry in Malawi. If anyone out there knows more about the history of tea in Malawi, please inform me! 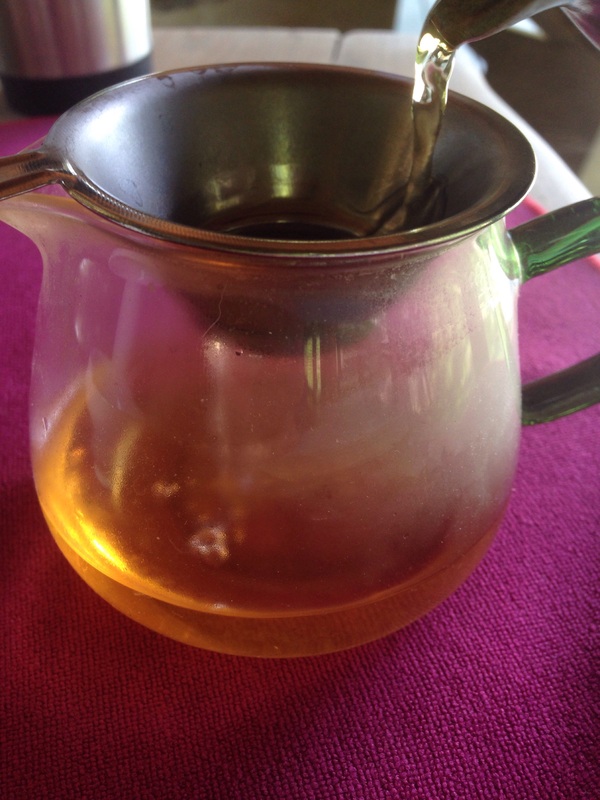 This tea is from Satemwa Tea Estate, which is in Thyolo in the Shire Highlands of Southern Malawi. The estate is located about an hour south of Blantyre, one of Malawi’s largest cities. The What-Cha website describes this tea as “possessing a brilliant tropical fruit taste combined with a well defined malt finish.” Satemwa named this tea after the Scottish explorer David Livingstone, who had a huge impact on the history of Malawi. I don’t normally mention anything about packaging, but I really enjoyed What-Cha’s packaging. Each bag has a label that contains the name of the tea farm, the date the tea was harvested, and the “best by” date. This tea was harvested on March 20th, 2015, so this is a very recent harvest. Sorry if the lighting on these photos is not so great. I am currently at home in Connecticut, so I did my tea tasting outside on this really neat table that my family has. 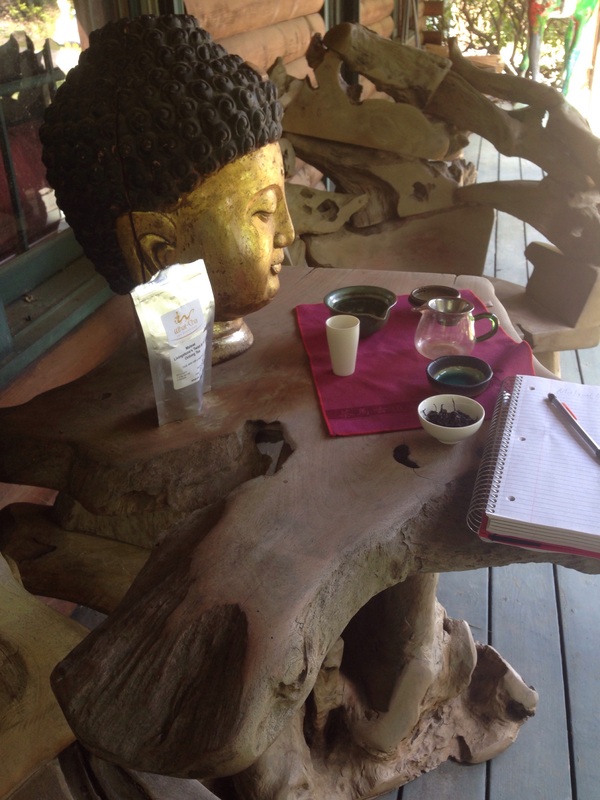 I had a great time drinking tea with Buddha. These leaves are really interesting. They are not very consistent in color, with some brown-purple leaves and some very bright green leaves. The structure of these leaves is also quite varied. 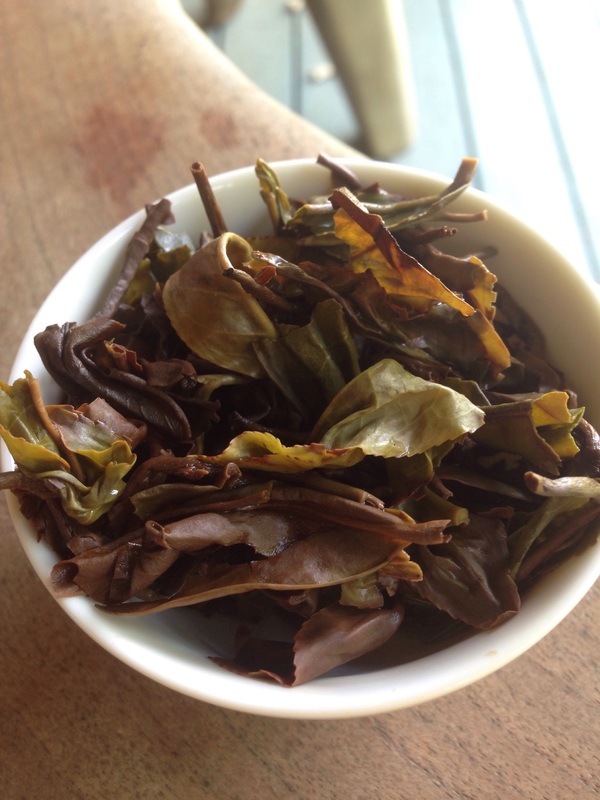 Most of the leaves are long twisted leaves, somewhat similar to a Wuyi style oolong. A few of the leaves are rolled into small balls, like a rolled style oolong. This inconsistency in color and leaf structure is not necessarily a bad thing. I wonder what sort of processing method Satemwa uses to get the tea leaves to look like this. Regardless, the leaves certainly appear to be very high quality. The aroma coming off of these leaves was incredible. The first time that I opened this bag, my friend across the room commented on how nice the smell was. I would describe the smell as tropical fruit and grape. There is also a very raisin-like scent. The tropical fruit scent is so intense that this almost smells like a flavored tea. The smell is very familiar, but I can’t quite pinpoint it…perhaps lychees? Very pleasant! This is probably the best smelling tea I’ve had in a long time. I used a 110 mL gaiwan and 7g of leaf for this review. I started out brewing this tea at 190° F, or roughly 88° C. The directions for this tea said that rinsing was not necessary, so I went right ahead and started brewing. The first steep came out a dark golden-yellow color. I also thought the color was slightly purple, but perhaps that was just my imagination since the leaves were purple. This tea tastes much “darker” than I expected, almost like a black tea. The mouthfeel is brisk and thirst quenching. 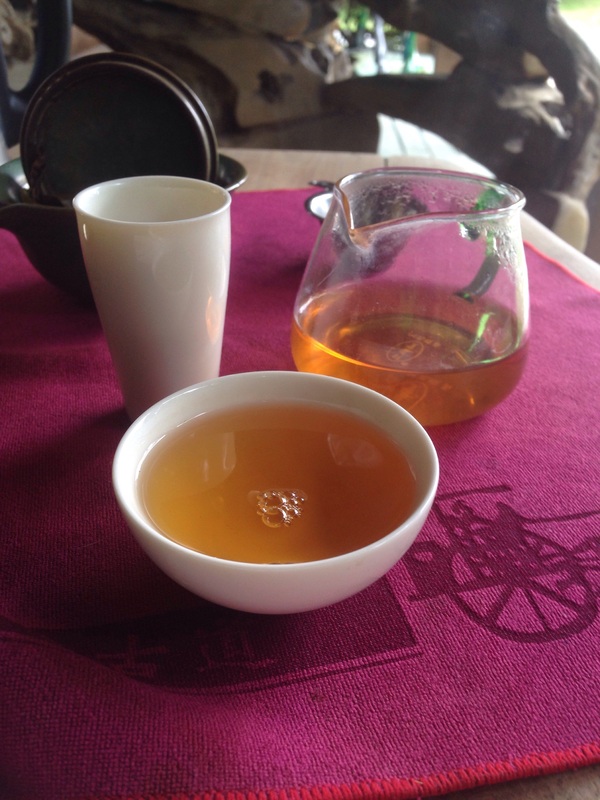 This Malawi oolong seems to ride the delicate line in between dark oolong and light black tea, quite similar to a Taiwanese style Oriental Beauty or Dongfang Meiren. 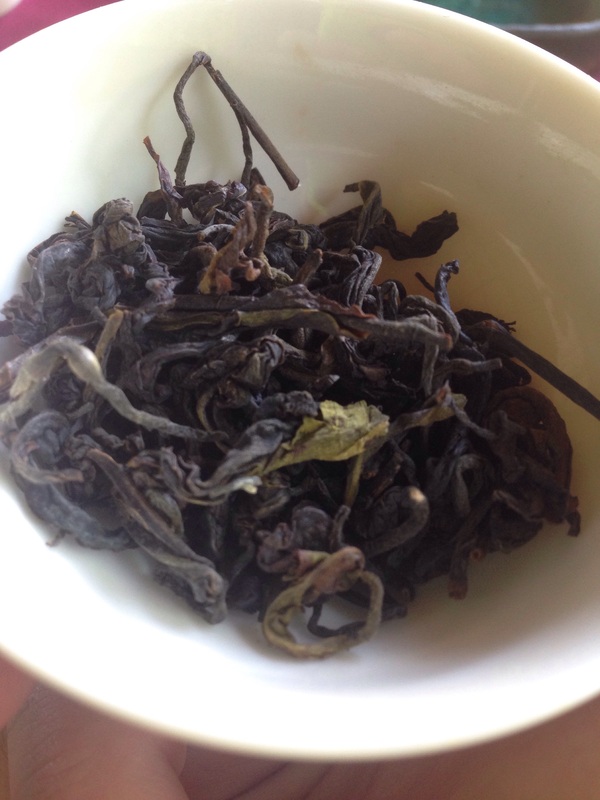 The immediate taste of this tea is not as fruity as I expected, and is more like a standard dark oolong or black tea. The aftertaste is where the fruit notes really come out. The aftertaste is super fruity and long lasting. My mouth tasted like I just chewed a piece of fruit flavored chewing gum for about 15 minutes after I finished the tea. The second steep came out a similar color, but the flavor was quite lacking. I could feel the flavors dying out a bit, so I tried brewing this tea at a higher temperature. I upped the temperature to 200° F, or roughly 93° C. I tend to like my oolongs steeped a little hotter anyways, so I figured this was worth a shot. This higher temperature worked out quite well for the third steep. The fruit flavor kind of died out by this point, but the oolong flavor still came through quite well. The aftertaste is still a bit fruity, but nothing like the first steep. I gave the tea one more steep to see if it had anything left. 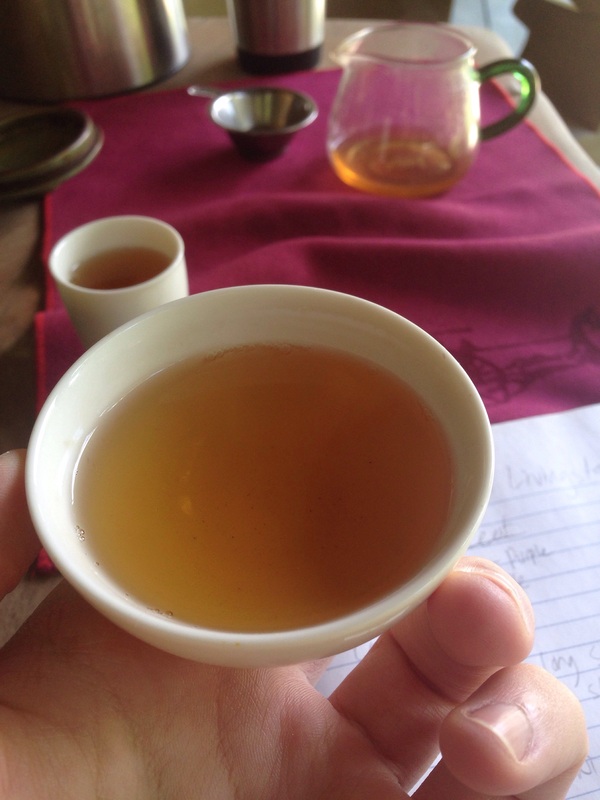 The fourth steep was certainly pleasant and drinkable, but most of the flavor was gone. Since the flavor of this tea definitely peaked in the first two steeps, I thought that it might work better in a Western-style steeping. I used a sort of improvised Western-style technique using my cha hai and a filter, which worked surprisingly well. My suspicions were correct. This tea definitely works better with a Western-style brewing technique (larger ratio of water to leaves and more steeping time). I tried this tea again the next day as an iced tea. The tropical fruit flavors were especially pleasant in an iced tea. I will definitely make this again. The finished leaves were quite varied with some larger purple leaves and some medium sized green leaves. The Malawi Livingstone Twist & Dry Oolong is definitely a unique tea. I’ve never tasted anything quite like it. 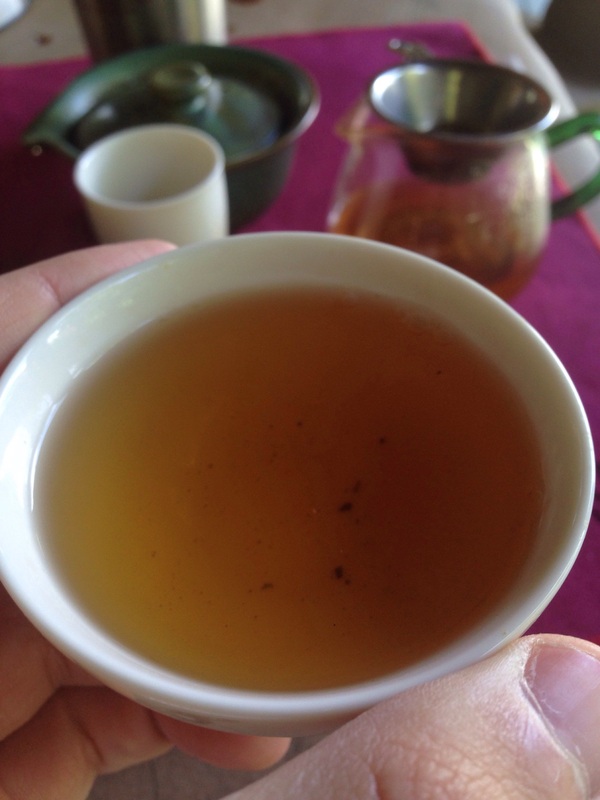 With that said, it definitely works better brewed as a Western-style tea rather than steeped in a gaiwan. This tea is a bit like the Juicy Fruit gum that all of us Americans know well…the flavor is amazing, but short-lived. With that said, this tea is really interesting and I am very glad that I tried it. This tea is definitely worth trying since it is very unique and from a rather unusual origin. The price is also reasonable, at $6.90 for 50 grams or 1.76 ounces. This works out to just under $4 per ounce, and the price gets even cheaper if you buy in larger quantities. What-Cha is a great company with a wide selection of teas. It seems like Alistair focuses on sourcing teas from unusual regions such as Malawi, Thailand, Russia, and Georgia. What-Cha also has incredible customers service. 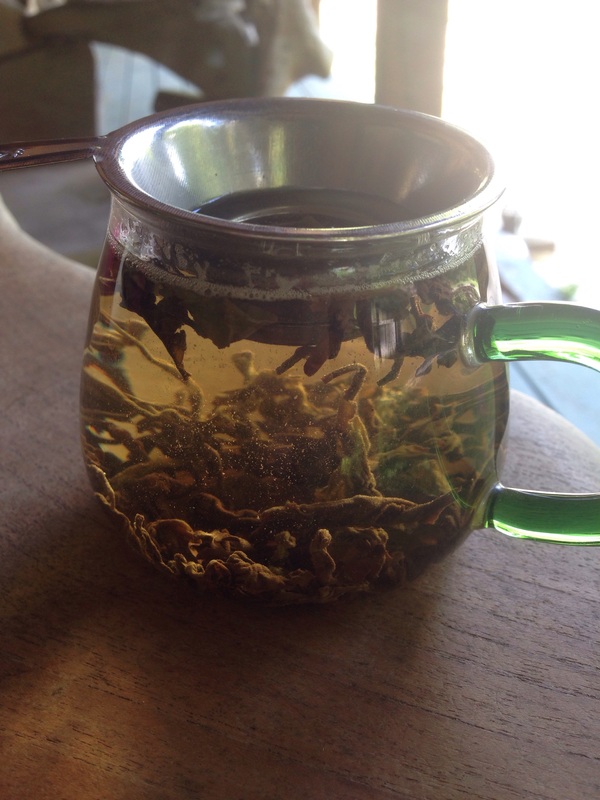 Alistair is a regular on the r/tea subreddit, where he answers tons of questions and shares his tea knowledge. He even extended his oolong sale for an extra day just so that I could place my order! I ordered several teas from What-Cha, so I’ll be reviewing a few more in the coming weeks.